Toronto is a high-octane city that doesn’t leave you frazzled. It is a warm, meeting place with a reputation that beckons visitors. This city finds the source of its strength in a forward thinking perspective that combines innovation and tradition. Over the years Toronto has grown from a trading colony to a global city of cool! The capital city of Ontario is at the southernmost tip of the province. It lies along the north western shores of Lake Ontario, on the neck of the Ontario Peninsula. In just over one hour you can reach the American border by train or car. Toronto is well connected with every major Canadian, American and foreign destination. Toronto Pearson International Airport is located 22.5 km (14 miles) from downtown Toronto. Niagara Falls and the United States border are just 121 km (75 miles) south of the city. Canada’s official languages are English and French. Although the country’s official bilingualism mandates that federal government business be conducted in both languages, Toronto’s language of habitual use is English. Upon arriving at Pearson Airport you’ll notice that all signage is bilingual. You shouldn’t let this overwhelm you, au contraire, you should view this as a golden opportunity to brush up on your French, especially if your next travel destination is Québec. Formerly known as the city of York, Toronto is Canada’s largest city by population. Metropolitan Toronto comprises the cities of Toronto, North York, Scarborough, York, East York, Etobicoke, Forest Hill, Weston, Swansea, New Toronto, Mimico, Long Branch and Leaside. The Toronto islands are also part of the city. The name “Toronto” was widely known as the Toronto Passage, used by natives as a canoe route between Lake Ontario and Lake Huron. As early as 1615 the Toronto Passage was widely used by French explorers who set up commercial trading posts in the area. The Mississaugas also occupied the area known today as Toronto. 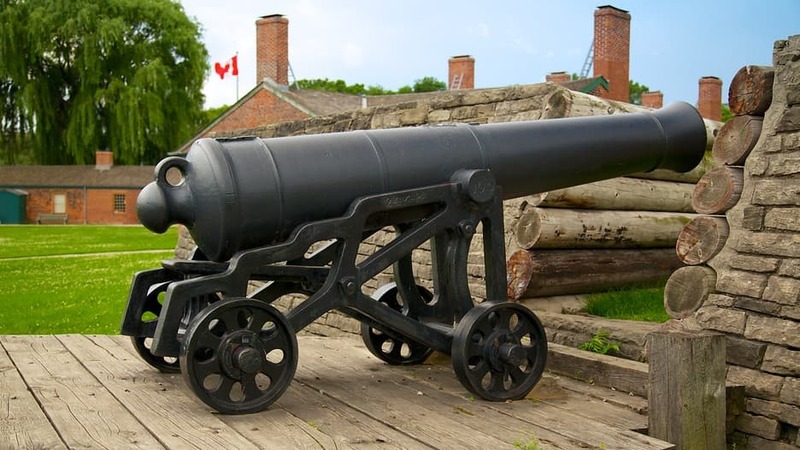 When the American Revolutionary War erupted between 1775 and 1783, groups of British North Americans (United Empire Loyalists) fled from the American colonies and settled in the Toronto area. These settlements led to the creation of Upper Canada in 1791. The site was mainly a commanding position for a naval base to guard the dangerously close border against attacks by the Americans. Upper Canada’s governor John Graves Simcoe established a town along the harbour, complete with parliament buildings and roads. He established it as the area’s capital and named it after the Duke of York. In 1812 York was raided and pillaged by U.S. soldiers who set fire to the buildings destroying much of the town. York had established itself as an important banking centre by the time it officially became the city of Toronto in 1834. In the early 19th century Toronto’s increased commerce, entrepreneurship, transportation, railways and infrastructures marked its urban growth and it became the capital of Ontario in 1867. By the 1850s Toronto was a city of 30,000 and it was on its way to a rapid industrialization. At the turn of the 20th century the city experienced an economic boom aided by legislative incentives. Thanks also to the initiatives of entrepreneurs whose names are cultural institutions in Toronto – Timothy Eaton and Hart Massey, amongst many others. During the 19th century thousands of immigrants in search of a better future saw the expanding industrial city as an island of hope. The 1840s saw the influx of Irish Catholics who fled famine-stricken Ireland. The 1900s brought continental Europeans from the Ukraine and Italy. The post Depression and war periods brought another influx of immigrants that fluctuated until the 1980s: Jews, British, Italians, Germans, Hungarians, Balkan Slavs, Greeks and Portuguese. The immigration pattern in the 1970s saw people from West Indian, South Asian and East Asian countries. The foundations of Toronto stem from a joint effort between the founding fathers and the subsequent newcomers who have worked hard to make Toronto the productive city it is today. Be practical when you visit Toronto. The weather in the city can be unpredictable despite the weather forecast. Toronto’s climate is classified as humid continental. Spring and fall are usually cool with moderate precipitation. Summers are warm, humid and wet. Summer temperatures average between 20 and 30 Celsius (68 to 86 Fahrenheit). Seasonal thunderstorms are very common in the summer. Don’t forget to pack your umbrella. Winters range from cold to severely cold. On any given winter day it may not feel so cold outside until the wind blows. The wind chill factor can drastically lower the temperature by as much as 10 degrees or more. During winter months the day to day temperatures can vary drastically. If you plan to rent a car while you are in Toronto you should always check the weather before you head out. Driving in icy conditions can be hazardous. Toronto’s islands originally were not islands. They were peninsulas. A strip of land attached them to the mainland until a violent storm in 1858 cut them off permanently. Toronto International Airport was named after a former prime minister who won the Nobel Peace Prize in 1957. Canada’s 14th prime minister, Lester B. Pearson was in office from 1958 until 1963. His intervention in 1956 in the organization of the United Nations Emergency Force in the Suez Canal crisis was instrumental. Pearson’s government also abolished capital punishment in Canada and managed to keep the country out of the Vietnam War. In 1977 during a Rolling Stones concert in Toronto lead guitarist Keith Richards was arrested by the RCMP for drug possession. The arrest made headlines throughout the rock music world and Toronto fans pleaded for his release. At the trial the Toronto judge found Richards’ desire to kick the drug habit exemplary and ordered him to give a free concert for the Canadian National Institute for the Blind, as part of his probation. You will be arriving at airport terminal 1 or terminal 3. The best way to reach downtown Toronto is by bus, taxi, airport limo or car rental. All fares, bus-coach schedules and routes are subject to change at any time. Travel times depend on several factors such as traffic, weather, waiting times, bus routes, etc. The most economical and stress-free way to get around the city is via public transportation -Toronto Transit Commission (TTC) bus, streetcar or subway. Subway stations and services are efficient, clean and relatively safe. The train and the coach are good options for day and weekend trips outside the city. This is a coach offering direct transportation to 6 downtown destinations. Buses run every 40 minutes. One-way fare for adults is around $27.95*. Children under 11 years old travel free with a paying adult. The coach is equipped with laptop plug-ins, Wi-Fi connectivity and on-board washrooms. Online reservations can be made with a credit card. While this will probably be a longer ride to the city it is the most economical way to get there. Bus fare is $3* for adults, $2* for seniors and 75¢ for children. Average travel time can take 1-2 hours. Bus drivers do not sell tickets or carry change, therefore expect to have the exact change with you. You can also purchase tokens, day and weekly passes and tickets. When travelling by bus you need to allow yourself extra time for transfers, traffic, walk times, and so forth. Bear in mind that this is not a special coach equipped with extra space for luggage. If you are luggage-heavy you may want to explore alternative to-and-from-airport travel options. Day passes cost around $11* for unlimited one-day travel (only) within Toronto. Downtown express routes are not included. Weekly passes only cost around $39.25* for unlimited travel on all regular TTC services within Toronto. This pass is transferrable to friends or family members (see website for details). Downtown express routes are not included. GTA Weekly Pass is accepted on TTC, York Region, Mississauga and Brampton routes at a cost of $56*. This pass is transferrable to friends or family members. A monthly metro pass costs $133.75*, it offers unlimited travel during a specific month on regular TTC services. This pass is transferable to friends or family members. Downtown express routes cost extra. The Presto Fare System is an electronic fare device or card that is loaded or topped just like a pre-paid credit card or phone card. It is used by scanning or tapping the device at one of the readers located around the city. A fare of $2.70* is deducted each time the device is scanned. The Convention Pass is available for organizations, corporations, special groups, etc. that want to purchase passes for participants of conventions and conference attendees. Guess what – TTC Transfers are free! They can be obtained for continuous trips and connecting routes. Whenever a route involves changing buses, subways or streetcars you can obtain a transfer from an automated transfer machine (after paying your regular fare) or from bus drivers. Some transfers operate on a time-based system, be sure to check with drivers or station attendants. The TTC Discount is reserved for the following categories: Students between 13 and 19, seniors 65 years of age and older, children 12 years of age and under. Visit the website to find out how to obtain discount cards for each category. Students are required to show a TTC Student Discount Card Photo ID. Seniors must provide proof of age. The TTC offers free rides for children under 24 months of age. Toronto Airport taxis and limos are stationed at the airport and will take you downtown Toronto or anywhere in the city or the Greater Toronto Area. They accept cash, credit cards and debit cards. Airport taxis and limos generally operate on metered tariffs. The fares are based on the distance, the type of vehicle you take and how many people are travelling with you. Vehicles include sedan, van, SUV, stretch limousine, mini-bus (13-25 seats), bus (26+ seats). The average fare from the airport to downtown Toronto is about $50-$70*. Tipping the driver will cost you an extra %10 – %20. Travel times vary depending on traffic and weather conditions. You should expect anywhere from 35 to 60 minutes. While it is common to travel with pets today, bear in mind that Toronto taxi drivers have the option (Toronto Municipal By-Law) to refuse passengers with animals. Exceptions are made for passengers with service animals. There are six car rental companies at the airport. Daily rates vary for each company. When budgeting for transportation, bear in mind that parking in most areas of the city will cost you an average of $9-$15* or more. For all other options please check out Expedia Canada’s list of rental cars for Toronto. You can have your very own car complete with a chauffer pick you up when you arrive at Toronto Pearson Airport. Prices start at $23.33* per person and vary depending on the number of people riding with you. Whether you are planning to stay within the city boundaries or travel outside of Toronto, there are several travel options you can explore. Union Station is located at Front Street West south of Bay Street. This is where you can catch the Go-Transit for short trips or Via Rail train for longer trips across the border. Transit is the way to go if you are looking for a comfortable and fast way to travel beyond the city of Toronto. Go-Transit routes operate eastbound to Oshawa, westbound to Hamilton, Kitchener, Milton and Northbound to Barrie and Stouffville. The train ride is quiet and comfortable. The Toronto Bike Share program offers visitors and residents the option to get around on a bike on a 24-hour-365-day basis. This is a membership program with a network of 800 bicycles found in any of the 80 stations and docking points in Toronto. Heavy-duty bikes are also available. Fees are paid on a monthly basis at $18* per month, or $90* annually, plus applicable taxes. You can join by filling out the online form. Visa, MC and Amex are accepted. If you plan to join before your trip to Toronto make sure you allow yourself plenty of time to receive the Bike Share key in the mail before your departure.Phone number: (255) 898-2378. Toronto has several care share programs to choose from. The philosophy behind these programs is to reap environmental and cost efficient benefits by having a self-serve, shared vehicle within a short range in the city. They work on monthly or one-time membership, fees range from one company to the next. They tend to be around $6* per month plus taxes to $30* to register. The daily cost to drive a car ranges from $9.25* per hour to $90* per day. Some companies charge per km after the 200km rate. For rates and applicable fees check the company websites. It is also important to read and understand the insurance and liability details when joining. After dusk Toronto becomes the city of lights. The city offers entertainment for people of all ages, cultures, and tastes. From Hip-Hop to Baroque music, quiet dining and family outings to adult entertainment, the city has an entertainment niche for the saint and the sinner in you. There are lounges, live music, sports bars, concert halls, theatres and cinemas. Toronto excels in providing the best music events in the country. The city’s entertainment calendar is filled with seasonal and annual performances. Over the years Toronto has seen just about every kind of musical performer and celebrity. The Rolling Stones, The Doors, Bob Dylan, Michael Bublé, Lady Gaga and DeadMau5, amongst many others, have performed here. Toronto’s Entertainment District is a concentration of clubs, restaurants, theatres and performing arts centres located between the King Street West, University Avenue and Spadina Avenue enclave. This part of town used to be the old garment and textile industrial district until the 1970s. The city has no shortage of classical music and opera venues and King Street has a high concentration of theatres: The Toronto Symphony Orchestra, Royal Alexandra Theatre, Princess of Wales theatre and Roy Thompson Hall. The Guvernment is probably Toronto’s most talked-about and must-see nightclub. With its 22,000 sq.-ft. expanse this is a veritable entertainment district. The nightclub hasn’t missed a beat since it first opened in 1996. It’s no wonder! There are multiple rooms featuring niche entertainment to suit different tastes. From pole dancing to live music and poetry readings, it’s all there. The Guvernment has consistently been ranked among the top nightclubs in the world. The Horseshoe Tavern on Queen Street West is Toronto’s historic bar and music venue. The bar has hosted a number of celebrities since its opening in 1947. The Ramones, The Rolling Stones and The Police have been there and done that. The tavern is still going strong with live band entertainment on most nights. Cadillac Lounge is for classic rock aficionados who will not be disappointed. If rock and roll is your bag you can also hang out at rock and roll bars like Stones Place. The Dakota Tavern is considered the Mecca for folk and classic rock music. From Latin to cool jazz, Toronto nightlife provides a variety of jazz styles to suit old school and new generation jazz aficionados. From Oscar Peterson to Winton Marsalis, you can bet you’ll hear these sounds at the jazz clubs in Toronto. Whether you’re looking for an evening with tapas and music or a couple of pints of cold cerveza you can Cha-Cha-Cha your way to one of these energizing Latin venues in Toronto. Toronto certainly has no shortage of music for younger crowds, check these out if you’re looking for an energizing evening of Hip Hop and electronic music. The city has a fine repertoire of classical music and opera. From Verdi to Wagner, you can catch it all at one of the following theatres and concert halls. If country music is your thing you won’t be disappointed with what Toronto has to offer. The city of lights has after-dark entertainment for all musical tastes and genres. You can park yourself in a monothematic music venue or visit clubs with a more eclectic musical approach offering a variety of genres like punk, folk and psychedelic music. The Toronto sporting landscape has a noteworthy history of excellence in typically North American sports such as baseball, hockey, and football. The city’s sporting culture, however, is perhaps best identified with hockey. The Toronto Maple Leafs are Toronto’s (and Canada’s) prodigal hockey team. The franchise was founded in 1917. The Toronto Blue Jays are Toronto’s professional baseball team previously owned by the Canadian brewing company, Labatt. The Toronto Argonauts are the city’s professional football team and the oldest sports team in North America – it was founded in 1873. The Toronto Raptors are Toronto’s more recent professional basketball team founded in 1995. Varsity Arena, Mapls Leaf Gardens and Ricoh Coliseum are Toronto’s historic sports venues. Air Canada Centre and Rogers Centre are home to the Maple Leafs, the Raptors, the Argonauts and the Blue Jays. The Rogers Centre (formerly known as Sky Dome) and Air Canada Centre are located downtown in close proximity to one another. The Air Canada Centre is located at 40 Bay Street. There are dozens of nearby restaurants and cafes. Mr. Pizza, Yogen Fruz Mini, Feta & Olives Mediterranean, Coffee on the Go, Gourmet Gringos and Subway, just to mention a few. Rogers Centre is located at 1 Blue Jays Way. This is within walking distance of the Air Canada Centre. A few of the eateries closest to the Centre are Muddy York Market, Dairy Queen, St. Louis Bar and Grill, Pizza Nova, Liberty Shawarma, Tim Hortons, Thai Fresh and Atlas Espresso Bar. The Rogers Centre was the first stadium to have a retractable roof. A motorized roof is one that opens and closes allowing outdoor sports to be played in all weather conditions. The Maple Leafs were called the Toronto Blueshirts at the turn of the 20th century when they were part of the National Hockey Association. With over 1,600 public parks, 600 km of trails and 8,000 hectares of parks Toronto abounds in areas for sports and recreation. Many of the city’s parks are situated on the shores of Lake Ontario. Specialty parks have beaches, sports fields, playgrounds, gardens, ice rinks and many special events that draw crowds of visitors and locals. They are clean and beautifully landscaped. This is where you can find mini golf, ball fields, pools, skating rinks and ski hills. During cold winter months you can enjoy a host of activities at any of the city’s indoor sports and recreation facilities. Endless miles of parkland and trails, which provide outdoor recreation and leisure time for the whole family, characterize Toronto. These parks are clean, safe and open all year long. When you want to take a break from sight seeing you can hike along the hundreds of miles of trails or visit one of the specialized parks for golf, tennis, swimming and more. Toronto has blossomed into a cosmopolitan city offering just about everything. The city streets are lined with fashion shops for every pocket, style and creative verve. It has hundreds of retail spots that cater to people of all ages and tastes. From coloured cotton scarves to out-of-print books and antique items, Toronto provides a unique shopping experience. Expect to pay a 13% harmonized tax surcharge on most items except on basic grocery items. Most price tags do not include taxes. Toronto’s most famous retail hot spots are also Canadian institutions. They are The Hudson’s Bay Company and the Eaton’s Centre. The latter was named after what used to be Canada’s largest department store retailer, the T. Eaton Co. Limited, founded by the Irish immigrant Timothy Eaton in 1869. Located on Yonge Street the Eaton Centre shopping mall has over 1,669,000 square feet of retail space and 300+ stores and restaurants. This is your go-to place for mid-priced shopping, food and souvenirs. The Hudson’s Bay Company was founded in 1670. The oldest company in North America began as a fur trading company. Today the chain owns 90 department stores across Canada. With a focus on apparel, cosmetics, perfumes, home kitchen, bed and bath goods, their products fall within the mid to upper-range pricing. Toronto’s high-end luxury department store is Holt Renfrew, owned by the Selfridges Group in the United Kingdom. Located in several areas within Toronto the department store features designer apparel for women and men from European and North American designers. This is where you can find Giorgio Armani, Michael Kors, Chanel, Yves Saint Laurent, Dior, Marc Jacobs, Tom Ford and many other signature brands. The store was founded in 1837 as a fur and hat shop by Irish-born merchant William Henderson who sold hats in Québec. If you are you looking for local, designer, quirky, trendy or vintage and accessories in Toronto, check these out. Why stick only to international designers when Toronto has a fresh pick of home-bred designer fashions? Whether they are fashion school graduates, fashionistas or corporations with a keen eye for style, these are all Toronto-based fashion retailers that deliver style and a contemporary appeal that makes headlines. Books are light to carry and fit easily in any suitcase or handbag. If you are looking for the new, the old, the out-of-print, or the hand-me-down book, you won’t be disappointed. If you are going to buy a single item during your visit to Toronto, you should not leave without buying at least one bottle of maple syrup. If you don’t like maple syrup, the other must-have item from Toronto is a Maple Leafs shirt. Little matters if you are a hockey fan or not. A shirt with Canada’s most famous sports team logo is a great gift for family and friends. Licensed shops have everything from jerseys and sweatshirts to caps and backpacks with the team’s emblematic maple leaf. There are dozens of other Maple Leafs souvenirs that easily fit in your suitcase: mugs, key chains, wallets, stickers, collectible items and watches. They even carry pet accessories, so you can outfit Fido or Kitty with a cool Maple Leafs souvenir. Maple syrup is often recommended as a white sugar substitute. Use it in baking and to sweeten tea and coffee. Maple syrup is an unprocessed natural product that comes directly from the tree sap and it has been recognized by health buffs as a healthier alternative to refined white sugar and some artificial sweeteners. Canada’s own “national” cuisine is traditionally a mix of North American fare with a distant French-inspired influence and a vague reminder of its British Commonwealth roots. Toronto, however, has come a long way from the days of relegating ethnic food to specialty shops. Thanks to Toronto’s multifaceted ethic culture, the city has exploded with endless menus of flavours and colours that delight the taste buds and dazzle the eyes. 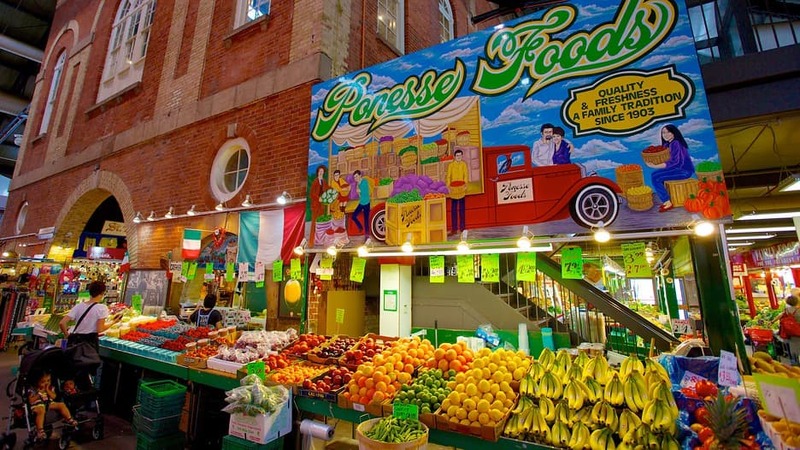 From fast food to vegetarian fare, from casual meals to fine dining–there is something for every palate in Toronto. 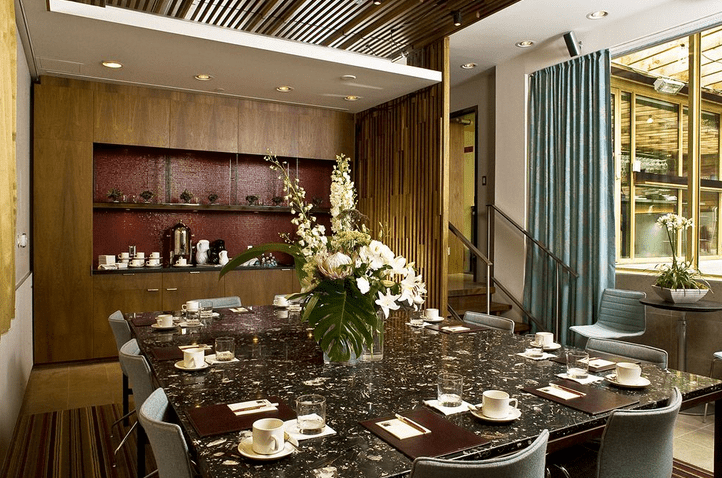 Toronto’s high-end restaurants are for discerning travellers with a generous budget. If you have a special occasion to celebrate or just want to toast to the good life, visit Toronto’s best restaurants. Many Toronto eateries fall within the mid-range budget. Sure, you can indulge in some classic greasy spoon-type grub, but healthy, organic foods are turning into the stars of menus. You have a wealth of options that include Toronto’s pizzerias, cafes, pubs, food trucks, and farm-to-table restaurants that keep prices friendly. Here are some of the top picks in the city. Toronto is a city with high standards of flavours but there is no shortage of places to eat for the budget-conscious. It’s super easy to only spend a few dollars and still eat like royalty. Build your own salads at a Sri-Lankan spice kitchen, try a different poutine combination every day of the week, sample a few cheese empanadas recipes, or opt to get yourself a sandwich that sticks to your ribs. The options are endless. Food trucks are taking over the world. With tasty, bold flavours and cheap prices to match, it’s hard to beat a good meal from an eatery on wheels. Toronto has hundreds of food trucks that operate on a mobile or semi-permanent basis scattered throughout the city. Where can you find them? Just gaze around. Eye-catching trucks with mouth-watering images are screaming for attention, and they’re delightfully impossible to miss. Toronto caters to a growing number of vegetarians and vegans looking for tasty meals. The city has hundreds of places offering healthy, fresh, and often times, organic food. Furthermore, you can find menus for people with food allergies and intolerances, as well as foods without refined sugar and meals without gluten. For more details about vegetarian, vegan, and gluten-free restaurants in Toronto, visit the Toronto Vegetarian Association directory. Like every cosmopolitan city Toronto offers accommodations for everyone. You can choose budget lodging like a hostel or stay at one of the more popular hotel chains conveniently located downtown. Toronto’s historic and one-of-a-kind hotels offer a unique experience and are definitely worth the visit. Steeped in ambiance, Toronto’s one-of-a-kind hotels were conceived with the idea of providing more than just a place to sleep. They also provide exhilarating experiences for locals who want to spend a weekend away from the usual mundane surroundings. These hotels have much more to offer than a just a place to sleep. This unique Toronto hotel has artist-decorated rooms to match your mood. 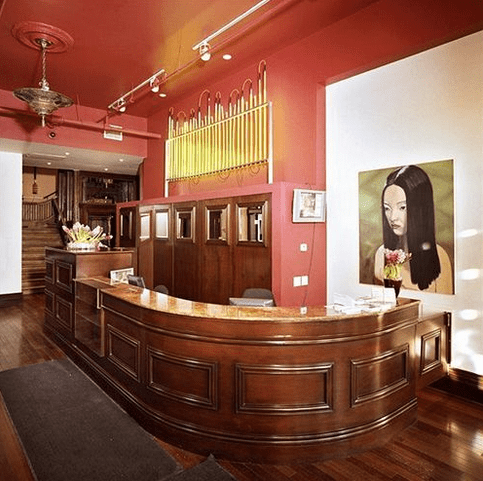 Gladstone Hotel is a mix of nostalgia, art and the imaginative that feeds the imagination. If your inner foodie is suffering from an attack of retro nostalgia, you can rent a suite decorated by Food Network host Bob Blumer. Just ask for the Surreal Gourmet room with the marshmallow pillows and retro kitchen appliances. Baby boomers who can’t get enough of the Easy Rider counter culture can sleep in the Bike Room. This 70s retro room is complete with motorcycle helmet, bedside lamps and retro wall art with none other than Mr. Easy Rider himself, Peter Fonda. 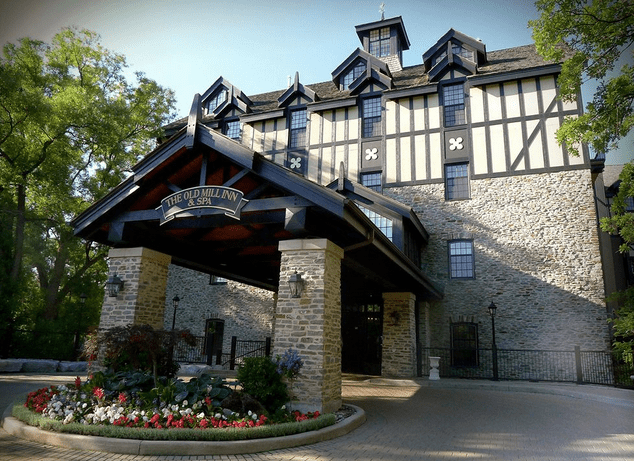 Immersed in the charming bucolic landscape of the Humber River Valley this hotel has the Old World appeal and charm of an English country cottage. The area is marked by historic events that saw pioneers like Samuel de Champlain and Etienne Brûlé establish trading posts in the early 1600s. The Old Mill rooms evoke the area’s historic past with understated elegance and style. Built in 1891 the stone mansion and tower are situated in the historic landmark area of St. James Town in the heart of Toronto. The mansion houses the suites, the rooms are in the tower. 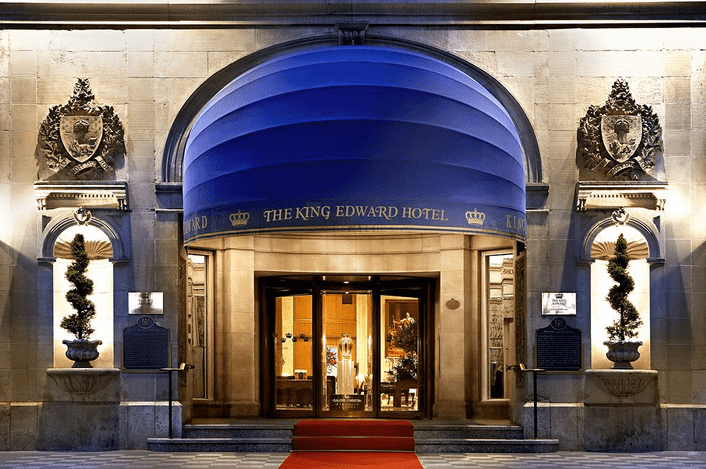 When the hotel was built in 1906 by Toronto developer George Gooderham “King Eddy” was a $6-million investment. The 18-story hotel was an elegant rendez-vous for Toronto’s socialites and elite society. Today the renovated hotel hasn’t lost any of the charm and the continental ambiance it had a century ago. “Hotbed for culture” is the hotel’s motto. The hotel is inspired by creativity and driven by a desire to dwell outside the box. By their own words, the cozy rooms are designed to “crash after a night of Drake excitement.” The hotel is also a venue filled with music, art and cultural happenings that add to the vaguely bohemian atmosphere. Expedia makes it easy to learn about all of the hotels in Toronto so you can conveniently customize and plan your stay. Read reviews from real travellers, learn about room types, and even find current deals and promotions. When you’re on vacation and you feel like sitting back and relaxing you can always let someone else chart your course for you. Tour Toronto by bus, boat, bike or on foot! You can’t beat an aerial view of the city by helicopter. The short list that follows gives you an idea of the types of organized tours available. There are generally discounts for online bookings. Several tour operators in Toronto with varying itineraries, prices, and options offer these tours. Visit Niagara-on-the-lake wineries or hitch a helicopter ride to view the world’s most impressive waterfalls. You can book a romantic cruise tour or tour Toronto’s hot and trendy culinary destinations. You can book a tour of Toronto for $34.95+tax, $30.97* for students and seniors (13-19, 65+), $19.46* for children (3-12). This is a superb value if you consider that the ticket is valid up to 3 days of continuous use. The bus makes stops throughout the city allowing people to hop on and off as they please. The price includes a boat tour (only in good weather conditions). The double-decker bus tour comes with a tourist guide. The bus makes 25 stops at every major landmark in the city including the Toronto islands, the Distillery District, Corktown, the Hockey Hall of Fame, Queen’s Quay Terminal, CN Tower, Dundas Square and Eaton Centre, Carlton & Yonge, King Edward Hotel, the Art Gallery of Ontario, Chinatown, Kensington, Yorkville and Casa Loma. There is nothing like the rush of adrenaline and high you get from flying. For $97* you can cover 15km in 8 minutes or 35 km in 14 minutes for $190*. You’ll experience a prolonged feeling of euphoria long after the ride. Book a tour to view Niagara Falls from thousands of feet in the sky. This is a one-day tour with a special online booking price of $79* tax. This price includes bus pick up at your door anywhere in Toronto, falls boat ride and Niagara winery wine tasting. Once you get to Niagara there is a brief tour of Niagara-on-the-Lake and a free glass of wine. The guided tour includes stops at several sites of panoramic interest, coupons- discounts and extra time for on site souvenir shopping. Don’t forget to pay the casinos a visit for a few responsible rounds at the slot machines. Go for the ride of your life with a day-long tour that includes a helicopter ride over the world’s most spectacular waterfalls. Splurge on a high-octane ride that begins with a door-to-door pick up at any Toronto major hotel and includes a boat cruise, fully guided tours, a DVD screening of “Great Daredevils of Niagara Falls,” a fully guided tour by licensed guides, free time for shopping and more. The price for a family of two adults and two children is approximately $640*. Getting around Toronto by bike is a clever way to see the city and stay fit. Biking around Toronto is way to experience the city the way locals do. There are several bike tour options and routes available for single, groups, guided and self-guided tours. These tours explore the city’s landmark Distillery District, the Mills Street Breweries, Toronto’s legislative buildings and much more. Savour Toronto one delicious bite at a time by embarking on a tour that will have you sampling international delights and Canadian food. Check out the menu and pick your culinary tour to suit the gourmand in you. Free, guided tours are available for 90-minute walking tours. Visit the waterfront at dusk and learn about the history of the city’s connection with the lake. Tour the “underground city” and visit the Financial District or walk along Union Station and the Entertainment district to learn about the city’s historical landmarks. When in Toronto do as the Torontonians. The city of lights is also the city of order and efficiency. It is über-organised so go with the flow, relax and enjoy the sights. The major landmarks are an integral part of the local heritage and identity. No visit is complete without visiting at least one (or more) of these Canadian landmarks. 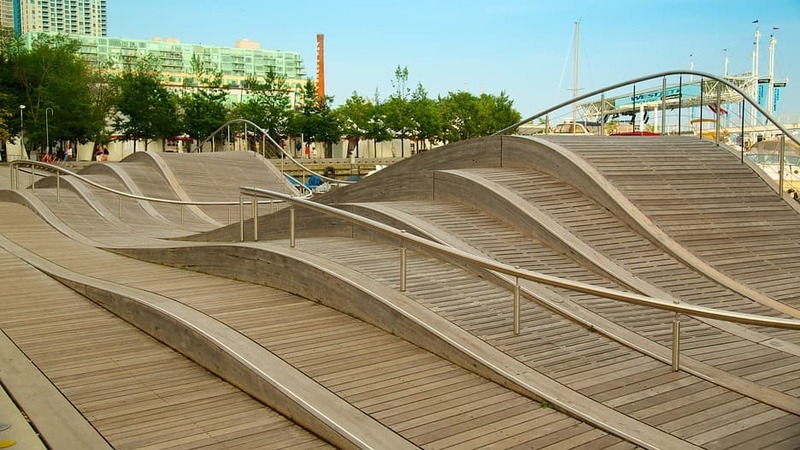 Although most of them have been throughout the years, each one of these sites has an intrinsic, historical importance for the development and culture of Toronto. Completed in 1976 the 553.33 metre (1,815.4-ft.) used to be the tallest building in the world. The CN Tower is the tallest structure in the Western hemisphere. The tower was part of a large downtown development plan that included building TV and radio communication platforms for the city. The CN Tower stands tall on the horizon of the urban development and the city’s skyline wouldn’t be the same without it. Six elevators lined with glass guarantee an uplifting experience as you begin the ride toward the sky. Visitor areas include the Glass Floor, Outdoor Observation Terrace with a glass floor and Indoor observation area. The tower restaurant aptly named 360 combines unforgettable views and dining experience. CN Tower lies between Rogers Centre and the Metro Toronto Convention Centre on Front Street. The tower is open year-round and closes only on Christmas Day. Hours are 9am- 10:30pm. Tickets are priced on a one-time basis or in combination with other city tours. Tickets start at $32.00* ($28.80* if booked online) for adults. Located downtown Toronto the museum was founded by the local Society of Artists in 1900. The 45,000 sq.-m. (480,000 sq.-ft.) structure houses a permanent collection of 80,000 works. The museum underwent redevelopment work in 2008 by Canadian modernist architect Frank Gehry. Today the AGO is one of several examples of Toronto’s architectural revival and an “effortless and relaxed architectural masterpiece” (quoted from the broadsheet daily newspaper, the Toronto Star). The museum is closed on Mondays and opens Tuesday through Sunday 10am- 5:30pm. Wednesday has extended hours 10am- 8:30pm. Exhibitions include lectures, performances, special thematic collections, special events and much more. Admission tickets start at $19.50* for adults, $16.00* for seniors, $11.00* for students and youths and $49.00* for families. Children have free admission to the museum. This is a group of small islands off Lake Ontario. The largest is Centre Island. With a few exceptions, these are vehicle-free areas accessible via ferries from the mainland. Toronto Islands are family recreation and activity-filled destinations that include amusement parks, a miniature railway, a farm with domestic animals, a children’s garden, a playground and a splash pad. Leisure time can be spent at the flying disc golf course or at any of designated swimming and sunbathing beaches. One of these beaches is suitable for those who like to suntan au naturel. Visitors can also enjoy boating, regatta courses and races. Annual arts festivals and a host of concerts animate the islands each year. They are accessible only by ferries at the moment, however an underground passage is under construction. Ferry vessels have a capacity of 2000 passengers and depart every 30 minutes. Daily schedules change twice a year – fall and summer. Fares are $7* for adults, $4.50* for seniors and students, $3.50* for children under 14, free rides for children under 2 years of age. Schedules are subject to change without notice. In an effort to make Toronto’s waterfront a more user-friendly place in 1971 the city built a large recreation complex for some good, clean family fun. The area is a fun-filled entertainment park with paths, parklands, water games, artificial lakes, games, food stands, concert venues, a 240-vessel marina, a spherical dome cinema and much more. When the Cineplex cinema was first built it was the first permanent IMAX movie theatre in the world. The cinema’s 3D technology, image size and sound systems turn an ordinary movie experience into something that is larger than life. Ontario Place lies along Lakeshore Boulevard West between Dufferin Street and Strachan Avenue. You can access the area by TTC or Go Train. You can drive to Ontario Place but the limited availability of parking spaces make public transportation a better option. Exhibition Place and Ontario Place go hand in hand. It’s hard to think of one without the other. They are adjacent to one another and both serve more or less the same purpose. The Exhibition grounds, also known as Canadian National Exhibition (CNE) have a significant historical importance. In 1750 the area was the site of a sought-after trading post and an important route for Native Americans. Today the CNE is a place for exhibits, trade shows, games, sporting events, conventions, nightclubs and a host of other attractions that draw millions of visitors for business and leisure each year. Toronto’s symbol par excellence, this urban landmark site allows visitors to view City Hall while strolling in the downtown area. The famous winter ice skating rink with overarching concrete structures embodies the historical and cultural characteristics of the square. There is a skate rental area for winter skating with a pavilion offering food and drinks. During the summer the skating rink reverts back to a non-swimming pool. The Square includes the City Hall buildings, a Peace Garden created in commemoration of the Hiroshima atomic bomb, a piece of the Berlin Wall placed near one of the Freedom Arches, one of the largest underground parking lots in the world, benches, walking paths, a central courtyard and a green roof. Also known as Bloor-Yorkville, this is an expensive and exclusive shopping district with luxury hotels such as the Four Seasons and Windsor Arms Hotel. Property in the area ranks among the most expensive in the world. This is a luxury enclave with a concentration of prestigious names like Prada, Gucci, Cartier, Hermès, Chanel, Rolls-Royce, Tiffany & Co., Max Mara, Maserati, Lacoste, Ferrari, Guerlain, Ermenegildo Zegna and Bulgari, among others. Despite the recent opening of a few mid-high range stores, the area hasn’t lost its lustre and reputation as one of the most luxurious areas in North America. Designed after the beautiful Galleria in Milan, Italy, the Eaton Centre is a mall with a large atrium and glass ceiling. The 155,000 square-metre(1,669,094 sq.-ft.) structure stands on 5 floors and has about 300 retailers, services, offices and restaurants. The Eaton Centre features mostly mid-priced shops selling apparel for women, men, children, cosmetics, accessories, footwear, electronics, jewellery, health and pharmaceutical products, gifts, stationery and cards, sporting goods, home furnishings and food. Spend the entire day shopping, sampling various ethnic foods and chilling out. The mall is located in the heart of Toronto at 220 Yonge Street. Getting to the Eaton Centre is easy, just hop on the subway or streetcar and get off at Dundas or Queen. 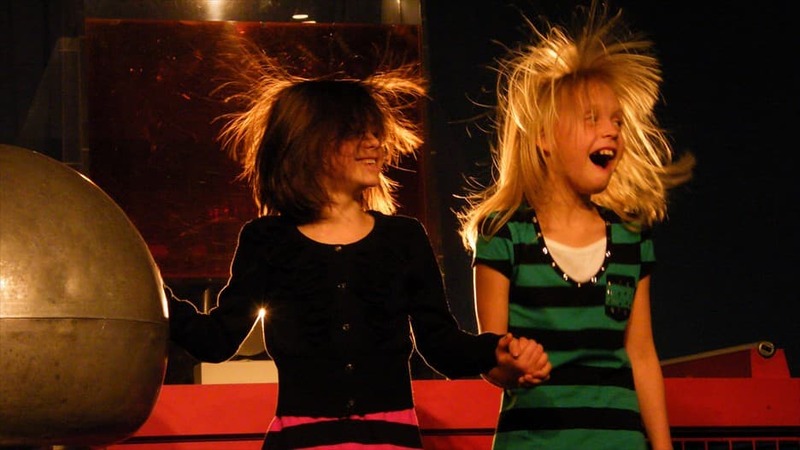 Toronto offers activities for people of all ages with a variety of interests and pursuits. There are bars, music venues for all ages and genres, from Hip-Hop to Classical music and opera. There are areas of historical, cultural and educational interest to satisfy those in search of intellectual pursuits and places where you can feed your hedonistic nature like restaurants, nightclubs and spas. This list includes some of the most popular Toronto attractions. The numerous heritage landmarks around the city are historical chapters that read like an open book and shed light on Toronto’s past. Some of them are remarkably well preserved and others have been restored. They embody the cultural fabric and face of Toronto and talk about the struggles and achievements of those who laid the foundations for what would later become a global city. There is a lot happening around town. 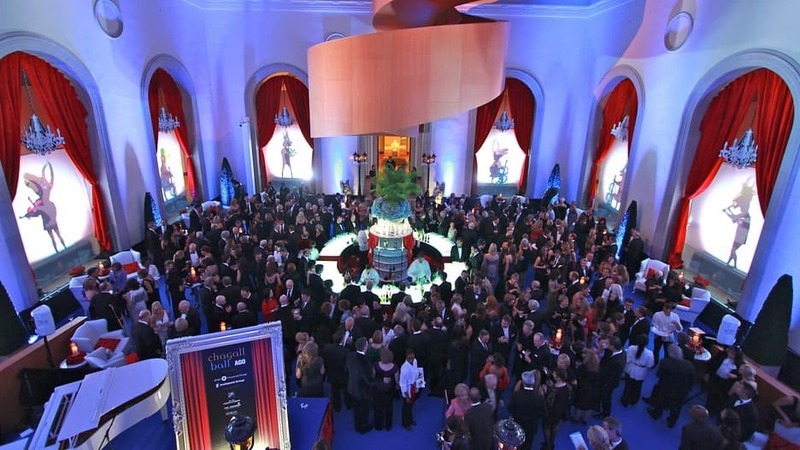 Toronto hosts annual events of international relevance such as the International Film Festival. This star-studded event brings all the glitter and energy to Toronto with film premiers, gala parties, international and home-bred celebrities. The Rogers Cup Tennis Tournament is the annual rendez-vous for lovers of tennis and sports. Canadian tennis courts have seen world champions like Bjorn Borg, Ivan Lendl, John McEnroe and Andre Agassi since its inception in 1881. Canada’s Walk of Fame gives visitors a chance to learn about Canadian celebrities and notables. The 3-day event honours inductees for their outstanding achievements on the Red Carpet. The event focuses on Canadian talents and gives promising musicians and performers the chance to perform for live audiences. Dates vary each year so you should keep an eye on the events calendar before you plan your visit. Dates and directions are on the official website at http://www.seetorontonow.com/annual-events. If your stay in Toronto is brief the least you can do is make it a memorable experience. Taking in the best of what this city has to offer should be your goal. These must-see sites are Toronto so don’t miss them! No matter where you are in Toronto, a good central point for most itineraries is the city’s Union Station at 65 Front Street, because all roads lead to the city’s most bustling transportation facility. The CN Tower is within walking distance from the station. Walk west along Front Street, north of Bremner Blvd. for a few minutes until you reach the Tower. Located at 40 Bay Street, the Centre is also accessible via Lakeshore. From Union Station at Bay Street head south on Bay St. This is the sport and hockey lovers’ entertainment destination because it is home to the Maple Leaf hockey team, the Toronto Raptors basketball team and the Toronto Rock lacrosse team. If you are not a hockey or sports fan you can skip the Air Canada Centre and head out to the Toronto Islands. 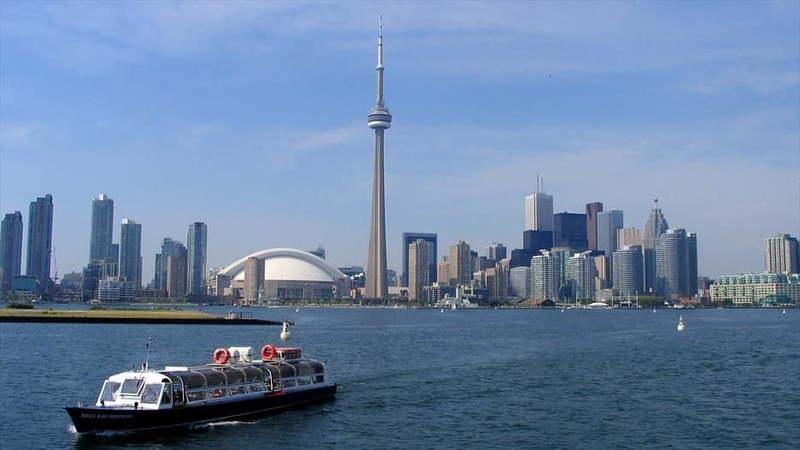 While it is true that you could easily make this a day trip, the ferry crossing and lake atmosphere will provide some relaxing moments you may want after the dizzying experience at the CN Tower. The Ferry Docks are located on Bay Street at Queens Quay. This is the civic centre and heart of Toronto located between Bay and Queen Street West. Spending some time here gives you a sense of being at the centre of gravity. This is where Toronto’s pulsating social and political life takes place. From Nathan Phillips Square head west along Queen Street and north on Yonge Street until you arrive at the shopping centre. There are hundreds of well known mid-priced stores to satisfy most tastes. This is the place to shop for gifts to take back home. Head west on Dundas Strett West toward Bay Street, turn right on Bay Street and left on Yorkville Avenue. Yorkville is Toronto’s Rodeo Drive. Even if shopping in this exclusive area of Toronto may not be within the average budget you can still find mid-range shopping names like Guess, H&M and Winners. This is what Toronto looks like at night. The entertainment district is a multi-faceted Mecca for entertainment, relaxation and cultural pursuits. This is where you can dine, drink, and listen to live music bands or concerts after a long hard day of sightseeing. The week long exploration of the city aims to satisfy people with different tastes. Each day maps out an itinerary that focuses on a single theme. 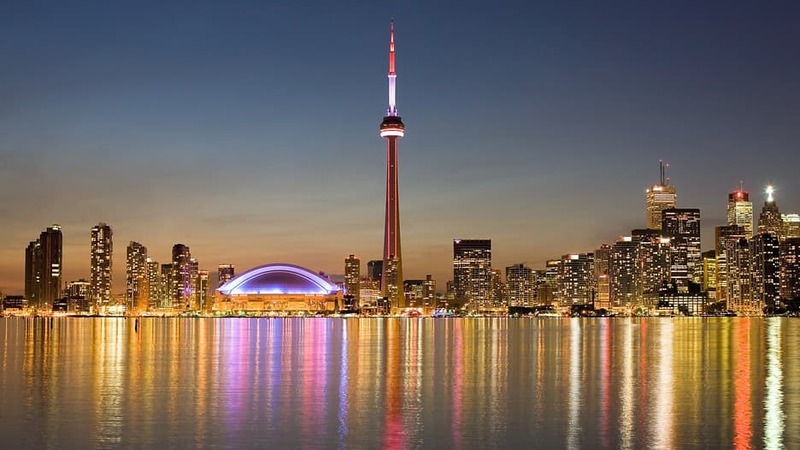 The end of the 7th day marks a weeklong exploration of Toronto that covers the city’s most important landmarks and provides a balanced coverage of the historic, gastronomic and cultural sites for everyone including, families, and younger travellers. The weeklong itinerary ends with a visit to Niagara Falls. 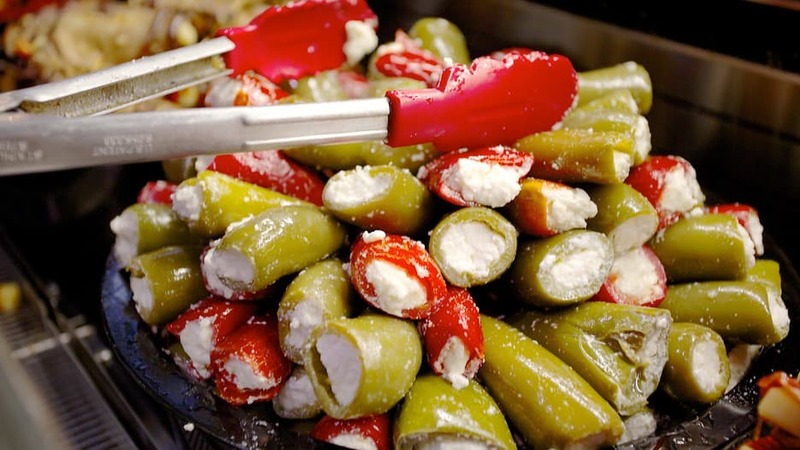 Explore the city’s food, cultural and shopping spots with guided culinary tours. Savour local wines, artisan breads and visit some of the trendiest eateries. Taste Toronto’s Tours include ethnic diversity, sample and buy Canadian and locally-made products, artisan products, hand made chocolates, farmers’ market, maple products, jams and preserves. On Sundays the streets become pedestrian-friendly because they are closed to cars. Shop for one-of-a-kind gifts, jewellery, hand made maple products, chocolate truffles and bark, organic food, global spices and cook books for food-centrics. Market hours vary and you may not have time to visit both markets on the same day. Your itinerary should be scheduled by keeping in mind the type of culinary tour you select. Some tours may take all day, while other tours include a trip to one or both of these markets. No longer the highest building in the world, the tower still offers a thrill-seeking experience even for those with vertigo. This is another city icon for sports buffs. It is home to the Toronto Blue Jays baseball team and the Toronto Argonauts Football team. The home of the Maple Leaf hockey players is a must see for hockey and sports fans. Built in 1853 the U of T this is a national heritage site. Students are usually attracted to foreign universities when visiting other countries. The University of Toronto Press deserves a visit. 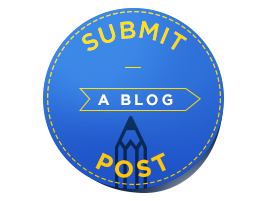 It has books, academic publications, books and journals written by the University’s distinguished faculty. Toronto has a host new and historic breweries offering Canadian-brewed beer, organic lager and food. The Mill Street Brewery and C’est What? are just a few. This renovated post modernist structure houses thousands of works and collections by European masters, North American artists and prehistoric archaeological tribal artefacts. Located in the heart of Queen Street West this is an artsy district with an eclectic mix of art, fashion and music. You may not like everything you see here, but you will find something in any the dozens of art galleries. Conveniently located in the Art District this is the place to see Canadian creativity on display. Founded in 1886 the institution is not only a place of learning for musical virtuosity it is also a venue for classical music concerts. In 1987 the institution established the Glenn Gould School, named after the homonymous Canadian pianist. This iconic improvisational theatre has been around for 50 years and many actors and comedians began their careers here, including several Saturday Night Live cast members. This is a great place with artistic and historical relevance for the entertainment world. This area in the heart of Toronto encompasses the civic and administrative centre of the city. This is where the old meets the new – the modernist structure of the new city hall and the Romanesque architecture of the old government building. While this might not be the place for budget-conscious visitors, it is still interesting to see how the other half lives. This is where you can find some of Toronto’s best hotels, art galleries and restaurants. The area of Toronto known as “Little Italy” is where Italian newcomers to Toronto settle in the early1900s. They established a home-away-from-home between Dundas and College – the hart of Little Italy. The streets are lined with restaurants and coffee shops where you will probably want to make a stop for gelato or real espresso. The Italian Walk of Fame is a place where you can read about notable Italian names. Toronto’s historic Chinatown is dislocated between two areas – Spadina Avenue and Dundas Street West and along Broadview Avenue. The area comprises other Asian cultures such as Thai and a growing Vietnamese community that is gradually changing the historic face of Toronto’s Chinatown. Toronto’s east end was home to Irish working class folks during the Great Depression. The once-derelict Victorian residences have been restored. What used to be a poor, run-down working class district has been become an area with a large concentration of Victorian architecture and pricey real estate. This is the heart of the original city of Toronto. The Gooderham Worts Distillery is a national heritage site displaying Victorian architecture from Toronto’s industrial past. This was once the largest distillery in the world. Today the former industrial spaces have been replaced with shops, restaurants and art studios. You can spend the rest of the evening here sampling the organic lager or lemon tea beer at the Mill Street Brewery. A beautiful example of European-inspired architecture in the Neoclassical style, the Union Station façade displays a majestic colonnade of limestone Tuscan columns. This often-overlooked structure (inside and outside) will not disappoint connoisseurs and lovers of period architecture. The entire area is a recreation of life in a 19th century pioneer village. While this is not an authentic historical site, the village atmosphere really gives you a sense of being projected back in a different historical dimension. There is considerable walking in fields and wooded areas so comfortable boots or shoes are a must. Also known as ROM this building houses cultural and natural history collections. The post-modernist structure is the result of an extensive renovation completed in 2002. The impressive natural history collections include dinosaurs, a bat cave and bird galleries. There are Canadian collections and artefacts from the Etruscan, Greek, Roman and Byzantine periods. Located on Queen Street the historic building is a majestic example of neoclassical architecture of the Georgian period. Today the building is home to the Superior Court of Justice. Old City Hall’s clock tower rises high above city. Located downtown the building was completed in the late 19th century. The impressive architectural style of the structure is a revival of the 11th and 12th century Romanesque style. This is the site of the Ontario Legislative Building. A stroll in the tree-lined park will take you to the sites of a number of commemorative statues. If you have a family with children you will likely spend the entire day at the Toronto Islands. However, if you manage to pull the kids away from the amusement park, paddle boat rides, adorable farm animals, the children’s garden, the miniature train rides, the carousel and the beaches, you can proceed with the rest of the itinerary. The sprawling parkland is open from June until October. Kids love Ontario Place and parents love it because it makes their children happy. It might have something to do with the water park, the 3D cinema, the amusement park rides, the bumper boats, the super slide, the water splash pad or the cyclone speedway. The last day of this itinerary is dedicated to an all-day trip to Niagara Falls. The area has more to offer than just the Falls. The local hotels, casinos and spas make it hard to get away so you may decide to stay overnight. Don’t forget to exercise common sense and responsibility at the casinos. While you’re in Niagara you can watch a theatrical production at the Shaw Festival. This is Canada’s wine region and the home of the world famous ice wine. The area’s beautiful agricultural landscape and wineries are worth exploring. One of the great global cities of the planet, Toronto is the pulsating centre of Canada. It is multifunctional, well organized and clean. The city’s creative soul and inventive offers tourists and visitors from all walks of life a myriad of possibilities. Despite the close geographic proximity to the US border Toronto has managed to keep a distinct personality and character. Toronto is a high-octane city that doesn't leave you frazzled. A warm meeting place with a reputation that beckons visitors.